Pastor Enoch Adeboye, the General Overseer of the Redeemed Christian Church of God, RCCG, on Friday visited Benue State and prayed for God’s intervention in the ongoing killings in the State. “We will ask God to arise and put an end to this bloodshed. Let there be peace in Nigeria as a whole. There will be no more bloodshed in Nigeria,” he said. He said that in accordance with the Holy Bible, that the horse is prepared for the day of battle but safety is of the Lord as he stressed that men can hide from men but no one could hide from God. “We have felt every pain you have felt. We have wept when we saw you weeping. As a matter of fact, there is no way a man of God will not feel the pain when he sees mass burial anywhere. Some of those people are our children and some are not yet converted, so we suffer double loss. When somebody is dead, you can’t convert that person. That is why we want these killings to stop. 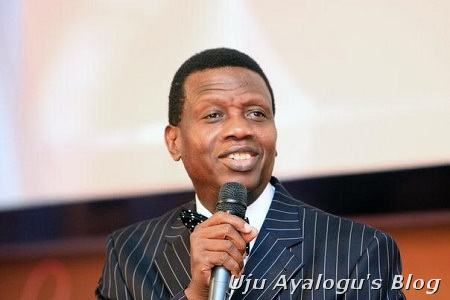 The Almighty God who doesn’t play, pranks or compromise can stop it,” the RCCG overseer posited.